Randall Woods received his Ph.D. from the University of Texas. 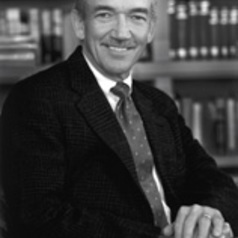 In 1985 he was named John A. Cooper Professor of American History and in 1996 was promoted to Distinguished Professor. Woods has served as Associate Dean, Interim Dean, and Dean of Fulbright College of Arts and Sciences. He has published seven books, most notably, Fulbright: A Biography (Cambridge, 1995), which was nominated for both the Pulitzer Prize and the National Book Award and which won the Ferrell and Ledbetter Prizes. In 2006, the Free Press published LBJ: Architect of American Ambition. Prof. Woods was selected to be both Mary Ball Washington Distinguished Professor at University College, Dublin and the Fulbright 50th Anniversary Chair at the University of Bonn.